There is humor in pain. It doesn’t mean problems struggles and obstacles don’t hurt, it just means that there can be a joyful way to come out of it while learning its lesson. I think pain and struggles prevent people from becoming their best selves, so if there was another way to get through it or over it, the world would be a better place. So let’s find a way to get over the fear. I had the pleasure to interview Terrence Green. Born and raised in York, Pennsylvania; Green began his career as a dancer with little to no training. He was able to perfect his craft after joining the dance group, “Ground Kuntrol.” From there he was able to hustle his way onto Philadelphia based super group, “Versatile Dance Company” who has performed alongside artists such as Fat Joe, 50 Cent and was also fortunate enough to appear on Showtime at the Apollo. 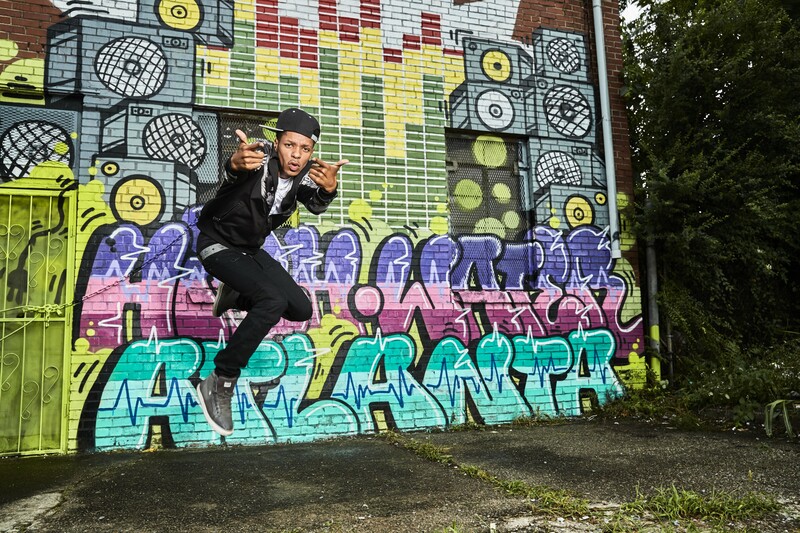 Searching for new territory to mold himself into a game changing entertainer, Terrence relocated to Atlanta to surround himself with a diverse group of choreographers and dancers. In 2009, he was inducted as a member of the Swagger Crew on MTV’s America’s Best Dance Crew. Terrence began teaching at Atlanta’s Gotta Dance, Dance 411, IDA Hollywood, Millennium Dance Complex as well as conducting workshops across the country, Africa and all over Europe. In addition, Terrence performed with Blake Shelton and Kenny Loggins during the 45th Annual Country Music Awards, and hosted Georgia Lottery’s “All Access Music Tour.” In 2011, Green slowly began his transition into the world of acting. Green had exhibited all the properties of a multifaceted career, with little to no experience or assistance. He started booking roles in Major movies and television shows including, “Footloose,” and “BET’s “Let’s Stay Together.” After gaining momentum as a world renowned dancer and actor, Terrence moved to Los Angeles to pursue his passion full time. Terrence soon developed a huge social media following from acting in videos that had acquired millions of views. In 2016, Green secured a guest star spot as “Calhoun Jeffries” on BET’s Being Mary Jane opposite of Gabrielle Union. I was actually shy when it came to dancing and singing while both sides of my family were the first ones on the dance floor at all of our family functions. I was pretty well known in my city for basketball and football. I always played above my grade and skill which led me to win numerous awards and championships. I also played in college camps and tournaments while in high school. I ended up on America’s Best Dance Crew in pretty much my first year of really training under professional teachers. I almost decided to not go on the show with the crew because I was overwhelmed with being on TV at the time lol. That would have probably been the biggest mistake of my career had I not. The Goode Life .. BET Movie starring Kyla Pratt. I play Deon her little brother. I host TheBasment LA, a musical platform for upcoming artists that was started by Ericka Coulter, the VP of A&R at Epic Records. – I will be hosting the UDO (United Dance Organisation) All American Championships and World Championships. – It gives a different perspective. It gives different cultures a different opportunity to show how they would respond, react, create, adapt, and handle situations based upon the upbringing that they have. When you have different opinions and it gives you more options to come up with a decision. I think it’s just bringing more awareness by bringing it to the forefront more with the platforms provided. I think these issues can be put in categories that we use today i.e. “what’s popular and what’s new”. ·What are your “5 things I wish someone told me when I first started” and why. Please share a story or example for each. This would be the hardest journey of my life! Consistency and diligence always win (Affion Crockett told me that). Oh…yeah…take care of yourself physically and emotionally. Don’t take anything personal, show business is just that “business” of the “show”. Always find ways to grow. Try to build a team as fast as you can. The more help you give, the more help you get in return. There is humor in pain. It doesn’t mean problems struggles and obstacles don’t hurt, it just means that there can be a joyful way to come out of it while learning the lesson. I think pain and struggles prevent people from becoming their best selves, so if there was another way to get through it or over it, the world would be a better place. So let’s find a way to get over the fear. My mom. She has been the most encouraging influence in my life. No matter what I did since I was a kid, she always pushed me to try to be the best. No matter how hard things got, she always found a way to motivate me to not give up. “Follow your dreams”. As simple as it sounds, following the things that mean the most bring the most joy. Jay-Z or Kobe Bryant. I would die a happy man if this happens lol. I’ve idolized both of their lives since I can remember living.